Numbers never lie. Good investments require analysis. If you do your math right, you’ll have a pretty good idea of what your investment’s return will be. Setting unrealistic rates of return on investments is one of the main reasons new investors lose money. Most newbie real estate investors simply don’t understand how compounding works. Essentially, a yearly profit increase means a huge gradual increase in your overall wealth over time. Here is a good example to illustrate this better. With an investment of $10,000 at ten percent for a hundred years, that would turn into $137.8 million. With twice the rate of return, the same investment of $10,000 will yield a whopping $828.2 billion for you. While the difference between the rates of return (10% and 20%) may seem counter-intuitive, that’s basically what geometric growth is all about. In the real estate business, money is the main – if not the sole – purpose of investing. In addition to this, you’ll only get money if the investment return is good. 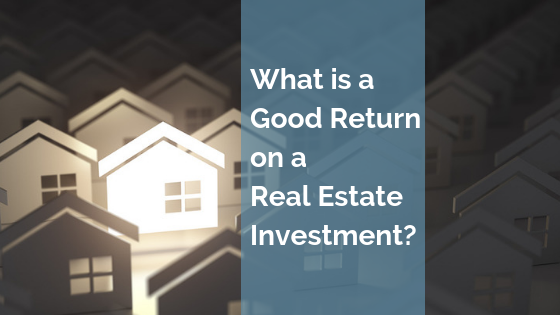 That begs the question, what is a good return on real estate investment? Well, the answer to this question, as many other important questions in this field is – it depends! The One Percent Rule is a tool to quickly filter and evaluate the potential of a real estate investment. The rule states that the monthly rent (gross) should be at least 1% of its final price. Using this rule, a $300,000 house would need to rent for at least $3,000 per month. If it doesn’t, the investment would not be worth it. With the example above, the property brings 12% of gross revenue of the yearly purchase price. The property, after expenses, may bring a net revenue of between six and eight percent of the purchase price. Generally, this is considered a good return on investment. But then again, location matters. 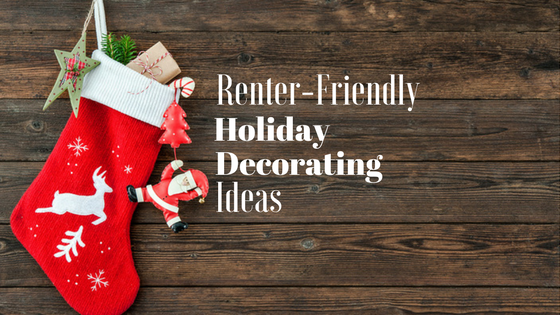 Shadier neighborhoods tend to have higher returns, while nicer neighborhoods tend to have lower rental returns. In real estate, the cap rate, also known as capitalization rate, is the ratio of the net income of the property to its purchase price. A $200,000 home, for example, that rents for $1,500 per month would result in a Net Operating Income (NOI) of $1,000 every month, or $12,000 every year. Based on this computation, the cap rate would be 0.06, or 6 percent. ($12,000/$200,000). Is 6% a good investment return? That is upon you to decide. If in a shady neighborhood with tons or risks, then getting 6% might not be worthwhile. 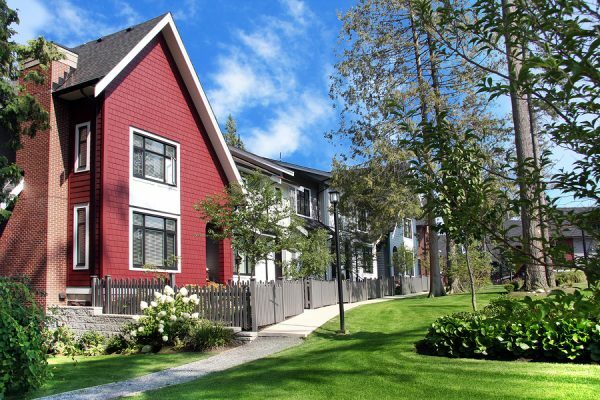 If in a nicer neighborhood and has good tenants, then the 6% could be a great return. This is a widely used metric for calculating a real estate investment profitability. Unlike the Cap rate, Cash on Cash (CoC) measures the yearly return on your investment based on cash invested and NOI. Since CoC varies depending on the financing method, the answer to the question, “what is a good return on investment?” again, isn’t as straightforward. Let’s assume you bought a rental property on a loan of $350,000, with a $70,000 down payment (or 20%). You collect $1,800 per month in rental income, and your operating expenses add to $4,000. The CoC would then be equal to 25.1%. (12x$1,800 – $4,000)/$70,000. But, let’s suppose you bought the same property using cash instead of a loan. In this case, the CoC would then be equal to 5.0%. (12x$1,800 – $4,000)/$350,000. Evidently, CoC changes based on the method of financing. According to many real estate investment experts, a good CoC is one that yields anywhere between 8% and 12%. This measure helps evaluate an investment’s efficiency. Many real estate experts and successful real estate investors consider it to be the most crucial figure when it comes to determining the profitability of a real estate investment. 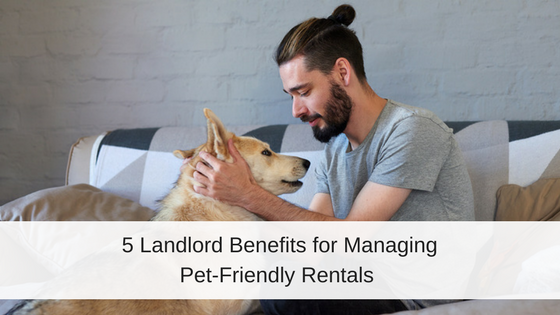 Take, for instance, you buy a rental property for $400,000, pay an additional $15,000 in other fees like maintenance costs, closing fees, and so on. You then charge your tenants $2,500 every month. In this case, the ROI would then be equal to 7.2%. (12x$2,500) / ($400,000 + $15,000). What ROI would make an investment seem good? Again, there is no straightforward answer. You would need to consider several things. For instance, your investment goal, risks associated with the investment, the property’s location, and the size of the property. Some real estate experts would argue that a 7.2% ROI would suffice. But as expected, others wouldn’t settle for anything below 30%. On average though, aim for an ROI above 15%. There is no denying the fact that real estate has churned out many millionaires over the years. But as with any other investment type, it pays to do your homework. 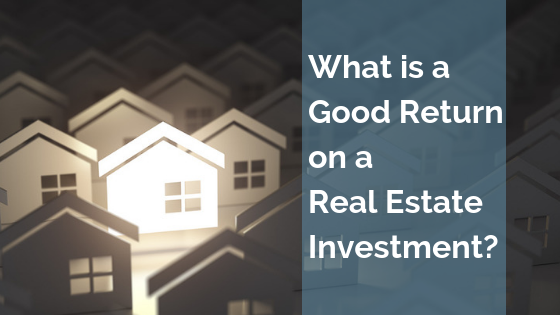 If you were looking to learn about what a good return on real estate investment is, we hope that you’ve found this info helpful. Jason Y. Lundgren has over 13 years expertise in the development, construction, ownership, management, rehabilitation, re-syndication, and rental marketing of multifamily housing, for both private sector complexes and projects built under Sections 236, 221(d) 4, and 231 of the National Housing Act. Jason Lundgren is a graduate of the University Of Kansas School Of Business, is a Licensed Real Estate Agent, and is an Officer of Young Management Corporation. Young Management Corporation is among the top property management firms around Kansas City, MO. Nice overview. I’m surprised that ‘The One Percent Rule’ is still mentioned since I don’t think it’s been feasible for over two decades, at least out here. Maybe I should work with you in Kansas. I spoke to a Realtor here in CA recently who agreed with me that CA landlords are basically subsidizing tenants. A monthly mortgage over $5000 will still only yield $2-3000 in rent. So who is doing this? Foreign investors? Speculators? @John – It’s interesting how different real estate can be, depending on your location. Whereas the 1 % rule cant be had in CA, here in Topeka, KS I wouldn’t pay any where near the 1% rule. My partner and I purchase for 60 X rent. I guess that is the 1.6% rule. E.g. we will pay up to 60k for a rent ready property that can generate $1000/month in rent. The difference may be that we don’t expect any appreciation whereas in CA you are banking on appreciation. I regularly buy properties for the same price as they sold 20 years ago. I use and like these measurements to get into a property, but how would you use to review an existing property, or after a refinance? I’ve heard different methods.